Residents of North Bay, Ontario are fortunate to be able to experience all four seasons during the year, but many may not see it that way. Despite the greater variety of activities that can be enjoyed and the changing scenery, the extreme temperatures between summer and winter can prove to be a problem. Beyond simple discomfort, very high temperatures and very low temperatures can compromise safety and health. Luckily, indoor heating and cooling helps to make things more bearable for everyone no matter what season it is. Heating and Cooling Repair North Bay provides homeowners with reliable HVAC services that include repairs, installations, and maintenance. We can handle furnace issues, broken boilers, a malfunctioning thermostat, or any other problems that arise with your heating and cooling. We even offer 24/7 emergency service for those times when you need immediate professional HVAC services. There is a growing demand for high efficiency cooling and heating systems. Homeowners are more conscientious than ever about their energy consumption. With growing fears of global warming and damage to the environment, as well as ballooning energy costs, it has become more important than ever to make sure the HVAC in your home offers optimal performance and efficiency when it comes to heating and cooling. For older homes, a new HVAC system may be a necessity. In addition to energy efficiency, you want heating and cooling that you can rely on when it is needed. If you are having problems keeping your home at a comfortable temperature, contact Heating and Cooling Repair North Bay for professional repairs and installations. We have extensive experience with everything from ventilation to gas fireplaces. Our technicians will make sure you receive prompt and professional service along with quality workmanship and satisfactory results. The last thing you need is to be left without heat or air conditioning when the outdoor temperature starts to turn against you. With Heating and Cooling Repair North Bay there is no need to tough it out. We provide 24/7 emergency service to assist our customers with the repair of their HVAC system when something goes wrong. The safety and comfort of your family comes first. For reliable heating and cooling services in the North Bay area, there is no company that offers faster and more affordable care. Our technicians have years of experience repairing air conditioners, furnaces, boilers, heat pumps, gas fireplaces, and heating systems. There is no problem that we won't be able to diagnose and repair for you in a timely manner. We pride ourselves on being a company that our customers know they can count on in their time of need. 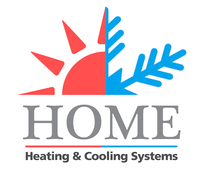 We strive to make sure that homeowners have access to crucial HVAC services all year round. Whether the temperature is too hot or too cold inside your home, we will help you get everything under control again. Give us a call for any HVAC problems or concerns.